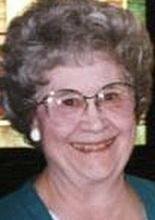 WATERLOO — Dorothy M. Bergen, 91, of Waterloo, died Tuesday, Sept. 14, at Friendship Village Pavilion, following a long illness. She was born Aug. 5, 1919, in Waterloo, daughter of Irving and Jeanette Skillings Mussett. She married Norman W. Bergen Aug. 12, 1938, at Hagerman Baptist Church, Waterloo. Mrs. Bergen graduated from Waterloo West High School and worked at Manning Pattern Co., Waterloo, and in the office for Dr. Peach, a Christian author. She was a homemaker, worked at Bible Tracks, Inc., and did housekeeping at Hagerman Baptist Church. Survived by: her husband; a daughter, Marsha (David) Sanders of Cedar Rapids; two sons, Gary (Karen) of Waterloo and Dan (Jan) of Warren, Mich.; six grandchildren; 10 great-grandchildren; and a brother, Jack (Judy) Mussett of Waterloo. Preceded in death by: a twin sister, Delores E. Hanson. Services: 11 a.m. Saturday at Kearns, Huisman-Schumacher Chapel, with burial in Garden of Memories Cemetery. Public visitation from 5 to 8 p.m. Friday, and an hour before services Saturday at the funeral home. Memorials: may be directed to Hospice Compassus, 3409 Cedar Heights Drive, Cedar Falls 50613 or Friendship Village Pavilion, 600 Park Lane, Waterloo 50702.